Three times in the past week – three times! – I saw the word “millennial” misspelled. Two of those misspellings were in high-profile presentations in front of large audiences, one in a big-city newspaper. The first time I saw it I thought, well, tsk, tsk, tut, tut, blah-bi-di-blah-blah-blah. The second time I saw it I just rolled my eyes (hopefully no one saw that). But the third time? I - quite publicly - spit up my orange juice (it was at a breakfast thingee). As marketers we talk to one another a lot about millennials, those coveted, bright-eyed-and-bushy-tailed media savvy children of the Baby Boomers – Millennials, please buy our stuff! – but we risk coming off like old fogies if we can’t at least spell their generational moniker right. Yes, millennial is a long word and includes a lot of consonants that all look alike. But come on, it’s not a hard word to spell. M-i-l-l-e-n-n-i-a-l. Two Ls, two Ns. Easy. A while means “a period of time” and awhile means “for a time” (in other words, the for is included, so you wouldn’t write "for awhile" because in essence you’d be writing "for for a while"). Algernon stayed awhile; actually, he did nothing but sleep for a while. An abbreviation of et alii (“and others”), et al. refers to people; etc., an abbreviation of et cetera (“and other things”), refers to things only. Gwendolyn was joined by Jack, Gribsby, et al. Cecily brought along books, magazines, DVDs, etc. Due to means “caused by” or ”resulting from” - if you can substitute “attributable to,” then due to is okay. Because, however, implies a cause and effect. Miss Prism gets few wild laughs because her lines just aren’t as clever. I haven't looked to see whether the slightly earlier edition or the First Folio has it with "than," but it's quite possible. All our editions clean up the spelling according to modern rules. “Affect” is almost always a verb meaning to influence or to cause a change in. 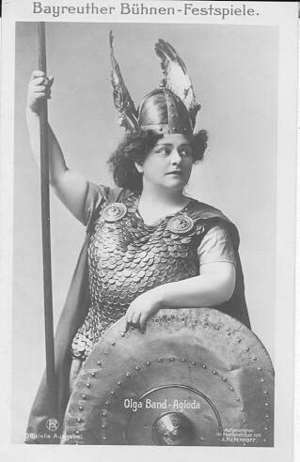 Brünnhilde was affected by the theater's no-horned-helmet policy. “Effect” is usually a noun meaning an outcome or a result. Her explanation that her helmet was merely a part of her dress ensemble had no visible effect on the usher. Sometimes, however, “effect” is a verb meaning to make happen. Thereafter, she fought to effect a change in dress code. “Discrete” means "individually separate and distinct." The company had a dozen discrete practices. Those of you active in online dating of one sort or another probably know that “discreet” means "marked by prudence or modesty and wise self-restraint." He was shocked – shocked! – to come across his neighbor’s profile indicating she was in search of a discreet relationship. Use “then” when one thing follows or results from another. As mine on hers, so hers is set on mine. Use “than” when comparing and contrasting.